Each year, we are pleased to present donations to the American Cancer Society thanks to the combined efforts of our dedicated staff and caring community. Breast cancer is a prominent killer in the Western New York area and at William Mattar, our truck accident injury attorneys are doing our part to save more lives. We invite you to check our website from time-to-time to check on any new fundraisers we are involved with, and we encourage you to give us a call at any time to see what you can do to help William Mattar raise breast cancer awareness. Breast cancer gets a lot of attention in the media and for many very good reasons. When you look at the facts, it is easy to see why the people at William Mattar are committed to the fight against breast cancer. Among women, breast cancer is the second deadliest form of cancer there is. Approximately 2,500 men get diagnosed with breast cancer every year and around 460 men die each year from breast cancer. Along with fundraising events throughout the year, William Mattar is helping to fight breast cancer with awareness and education. With the high numbers of people who contract breast cancer every year, it is important that our community understand the importance of early detection and routine examinations. Women ages 20 to 39 should learn how to administer home breast exams on a regular basis, and then when they turn 40 women should schedule an annual mammogram. With all of the resources that have been put into breast cancer research over these last few years, much progress has been made. A woman’s chances of survival increase dramatically with early detection because of all of the many new treatments that are approved each and every year. William Mattar is proud of the work we do in the community to help raise awareness and research money to fight breast cancer. But our efforts don’t work if you don’t get involved. We could just quietly write checks to breast cancer research each year, but raising funds is only part of the job. We believe strongly that breast cancer awareness is equally as important as funding research. Understanding the importance of routine monitoring, even self-inspections, and regular examinations in stopping the advance of breast cancer in every woman. Taking the time to remind others about the importance of screening and examinations. Getting involved in fundraising and awareness events and becoming a resource for others in your community. Explaining the benefits of breast cancer education to your friends and family. Breast cancer does not discriminate. It is a disease that will attack any one at any time and it is a disease that kills friends and family members all year long. The more that William Mattar can do to help raise awareness and understanding about breast cancer, the more we lives we hope are saved. We encourage everyone in the community to do their part when it comes to breast cancer awareness. Our area is home to one of the finest cancer hospitals and research centers in the country in Roswell Park Cancer Institute. We encourage you to read up on the successes Roswell Park has had in fighting breast cancer and attend their public events to hear about the progress in research. We are always proud to submit our donations to the American Cancer Society, but you can donate to that great organization any time you want. We always encourage people to support the American Cancer Society and offer the donations that make the ongoing research possible. 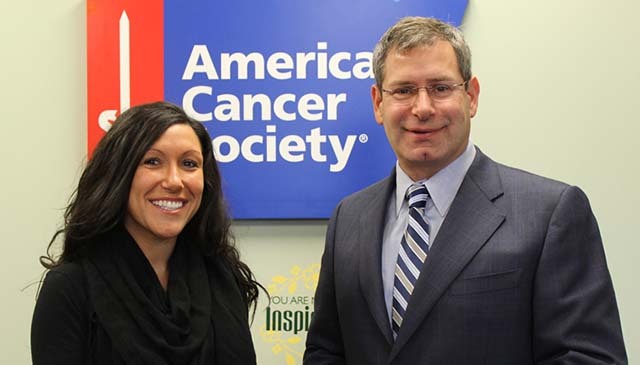 Each year, William Mattar is proud to present the American Cancer Society with donations that go towards research, support, and education regarding breast cancer. We join other organizations such as the NFL in choosing one month each year to use the color pink to raise even more awareness about the dangers of breast cancer. There are approximately 3.3 million breast cancer survivors living in the United States today, and we are happy to see that number constantly grow. While science does not yet know what causes breast cancer, raising awareness is getting people to do the right thing and take the steps to detect breast cancer early enough to stop it before it gets too invasive. We are also proud of how our awareness efforts bring the community together and give survivors and those currently suffering from breast cancer a way to tell their stories and inspire others. We encourage an open exchange of information, stories, and triumphs as a way for people to understand that breast cancer can be stopped and it can be beaten. For women, the best way to help fight breast cancer is to take charge of your own health. Women should perform regular breast self-exams starting at age 20, and schedule yearly mammograms starting at age 40. Early detection is one of the best tools available. You can also help fight breast cancer by making a donation to the American Cancer Society, or partnering with other members of our community to support the search for a cure. Together we can win the fight! William Mattar is constantly involved in breast cancer awareness events and charitable functions throughout our community. We believe that when more people join our fight against breast cancer, then more positive steps are taken towards finding solutions to this deadly disease. Breast cancer awareness is important to every member of our community. William Mattar is proud to be an active leader in breast cancer awareness for the entire Western New York community. If you are interested in finding about more about breast cancer awareness or want to get involved, please feel free to contact us for more information and answers to your questions. William Mattar Law Offices will once again participate in the annual Paint the Village PINK! Breast Cancer Awareness Program. We join neighborhood businesses to raise funds in the fight against breast cancer by selling special PINK William Mattar tumblers for a minimum $5 donation. All proceeds will be donated to the American Cancer Society. 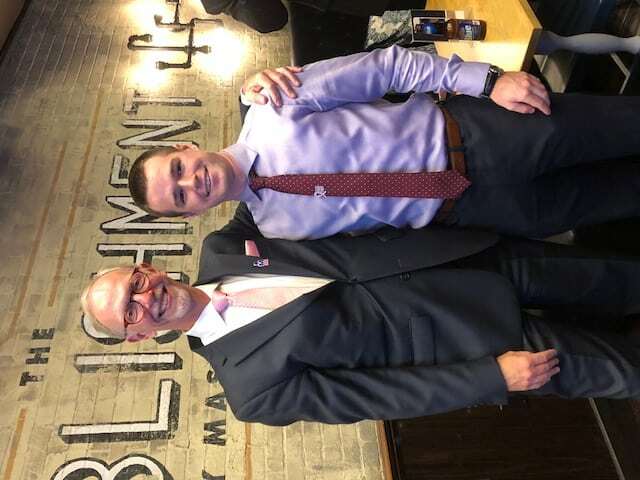 This year William Mattar joined the American Cancer Society’s ‘Real Men Wear Pink’ campaign and attorney Duane Schoonmaker (on left, above with Daniel Richer) is representing the firm at area events and doing a great job fundraising as well! Several attorneys were in the running as ‘real man’ and they rallied the troops for votes (in the form of donations). 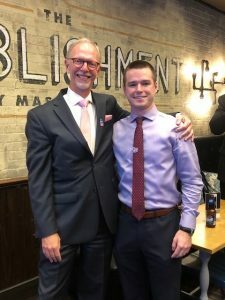 With inspiring speeches and the help of some ‘campaign managers’, fun was had by all and an impressive amount was raised to kick off the fundraising for this year’s pink campaign. 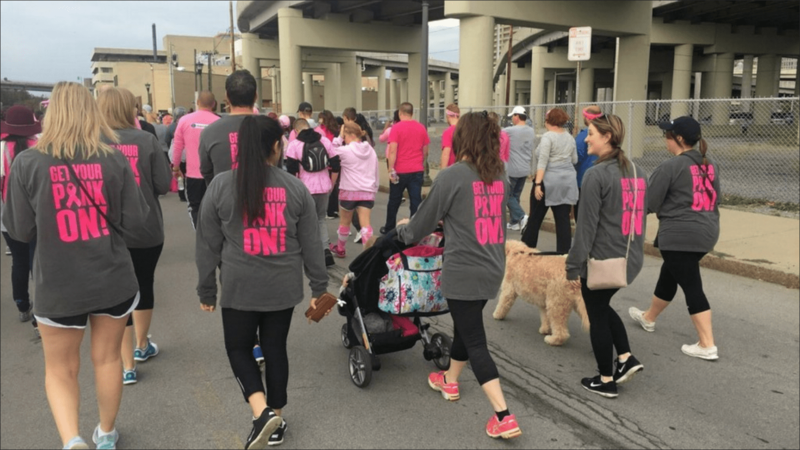 Team “Legally Pink” will also participate in the 2018 Making Strides Against Breast Cancer walk in Buffalo. The walk is a great opportunity for our team to come together and support a worthy cause. 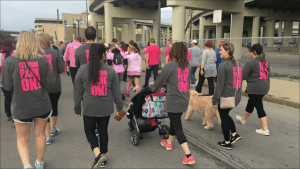 Making Strides Against Breast Cancer walks are held in many cities around New York State throughout the year, so be sure to check their website and mark your calendar to participate an event in your city. Employees from the William Mattar Law Offices attended the kickoff event for the Making Strides against Breast Cancer walk at the HSBC Arena. Click here to join our efforts. We’ve put together a list of resources to help you find more information about breast cancer diagnosis and treatment, support programs for survivors, and additional ways you can advance the fight against breast cancer. Ask your health care provider for additional resources that may also be beneficial to you and your family.